Social Islami Bank Limited (SIBL) is a private owned bank. 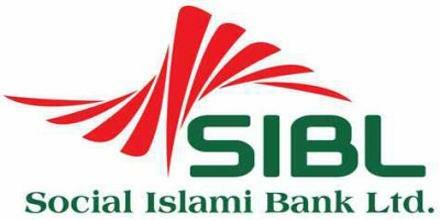 SIBL is a second generation Islami bank operating since November 22, 1955 based on Shariah Principles. Now SIBL has 95 branches all over the country with two subsidiary companies- SIBL securities ltd. and SIBL investment ltd. The bank opened 10 branches in 2013 to bring more people under the coverage of banking service. SIBL is a capitalized new generating bank with an authorized capital of Taka 10,000,000,000 in 2013 and paid up capital of Taka 7,031,415,640 in 2013 and also Taka 6,393,925,700 respectively as of December 2012. For coordinating my internship I have been placed in SIBL, Babubazar Branch, Dhaka. There are three sections in Babubazar branch. They are General Banking (GB), Investment Department (ID) and Foreign Exchange Department (FED). I worked mainly in GB section. I devoted my utmost effort and attention to learn bank’s operations. After completing my internship, I will render my all knowledge to present the report on Overall Banking System of SIBL- A special focus on general banking. In the organizational part will briefly describe overview of the organization’s historical background, functions, business philosophy, ownership pattern, foreign correspondents and overseas operations and benefits provided to customers by the organization. Branch operation part will describe the product and service provided to the customers by a branch. Objectives of the report . . . The board objective of this report is to complete my BBA program and to acquire knowledge of banking sector. To achieve the main objectives, I also try to understand some specific objectives. To gather knowledge about the functions and transactions of different departments of the bank. To be acquainted with how a bank perform its operation. To get ideas on the activities of GB. To get ideas of FED. To understand the difference between previous and present banking system of SIBL. To find out the financial performance of the bank. To know the difference between Islamic banking and conventional banking system. History of Banking in Bangladesh . . . Following the emergence of Pakistan in 1947, Stat Bank of Pakistan, the Central Bank of the country, came into being in July 1948. Later, the National bank of Pakistan, a strong commercial bank was set up in 1949. In all, 36 scheduled commercial banks were in operation in the whole Pakistan until 1971. Pakistanis owned most of these banks and only three of them namely, National Bank of Pakistan, Habib Bank Ltd. and the Australasia Bank Ltd, had one branch of each in East Pakistan in 1949. During 1950-58, there other Pakistani-owned banks, Premier Bank Ltd., Bank of Bhowalpur Ltd. and Muslim Commercial Bank, had Opened their branch in East Pakistan. Four Pakistan-owned banks, the United Bank Ltd., Union Bank Ltd., Standard Bank Ltd. and the commerce Bank Ltd. Conducted banking business in the Province during 1959-1965.But all of them Had their headquarters in west Pakistan. East Pakistan had only two banks Owned by local business groups white headquarters in Dhaka. These were the Eastern Mercantile Bank Ltd. (Presently Pubali Bank Ltd.) and Eastern Banking Corporation Ltd. (Presently Uttara Bank Ltd.) established in 1959 and 1965 respectively. In the beginning of 1971, there were 1130 branches of 12 banks in operation in East Pakistan. The foundation of independent banking system in Bangladesh was laid through the establishment of the Bangladesh Bank in 1972 by the Presidential Order No. 127of 1972 (which took effect on 16th December, 1971). Through the Order, the eastern branch of the former State Bank of Pakistan at Dhaka was renamed as the Bangladesh Bank as a full-fledged office of the central bank of Bangladesh and the entire undertaking of the State Bank of Pakistan in, and in relation to Bangladesh has been delivered to the Bank. Bangladesh Bank has been entrusted whit all of the traditional central banking functions including the sole responsibilities of issuing currency, Keeping the reserves, formulating and managing the monetary and credit policy, regulating the banking system, stabilizing domestic and external monetary value, preserving the par value of Bangladesh Taka, fostering economic growth and development and the development of the country’s market. The Bangladesh Banks (Nationalization) Order enacted in 1972 nationalized all banks except foreign ones. Six nationalized banks were formed through merging the existing banks of the period. The rate of growth and development of banking sector in the country was extremely slow until 1983 when the government allowed to establish private banks and started denationalization process: initially, the Uttara Bank in the same year and thereafter, the Pubali Bank, and the Rupali Bank in 1986. History of Private Banks in Bangladesh . . . Besides, recent decision of the Government to corporative the remaining three NCBs along with the initiative to sale the Rupali Bank are bound to usher in changes in the banking sector competitiveness aspect. Bangladesh Bank has also taken up the task of implementing the Basel II capital accord. Further, the recent enactment of the Micro-credit Regulatory Authority Act (MRAA) for the regulation of the Micro Finance Institutions (MFI) has been a major development in the year 2006. Since 1998 CAMEL rating of banks gradually improved and in 2006 Bangladesh Bank updated this rating model by incorporating the market risk and the new Model is known as CAMELS. Modern banks play an important part in promoting economic development of a country. Banks provide necessary funds for executing various programs underway in the process of economic development. They collect savings of large masses of people scattered throughout the country, which in the absence of banks would have remained idle and unproductive. These scattered amounts are collected, pooled together and made available to commerce and industry for meeting the requirements. Economy of Bangladesh is in the group of world’s most underdeveloped economics. One of the reasons may be its underdeveloped banking system. Government as well as different international organizations have also identified that underdeveloped banking system causes some obstacles to the process of economic development. So they have highly recommended for reforming financial sector. Since, 1990, Bangladesh government has taken a lot of financial sector reform measurements for making financial sector as well as banking sector more transparent formulation and implementation of these reform activities has also been participated by different international organization like world Bank, IMF etc. Islamic banking refers to a system of banking or banking activity that is consistent with the principles of Islamic law (Shariah) and its practical application through the development of Islamic economics. Shariah prohibits the payment of fees for the renting of money (Riba, Usury) for specific terms as well as investing in businesses that provide goods or services considered contrary to its principles (Haram, Forbidden). The World Islamic Banking Conference held annually in Bahrain since 1994 is the unique platform internationally recognized as the largest and most significant gathering of Islamic banking and finance leaders in the world. Dr. Ziauddin Ahmed says, “Islamic banking is essentially a normative concept and could be defined as conduct of banking in consonance with the ethos of the value system of Islam.” From the above definitions we can say that Islamic banking system is one that avoids receipts and payments of interest in its transactions and conduct its operations in a way that it helps achieve the objectives of an Islamic economy. Islamic banking system is based on Principals of which profit and loss sharing is major feature, ensuring justice and equity in the economy. For this Islamic Banks are known as Profit and Loss sharing bank. Evolution of Islamic Banking . . .
Islamic Banking comes into reality through a long theoretical exercise of several renowned Islamic scholars and economists. The first attempt to establish an Islamic financial institution took place in Pakistan in 1950. In the modern world, the pioneering role in establishing the first Islamic Bank in 1963 named ‘Mit- Ghamar’ Saving Bank in Egypt at rural area of Nile Delta. Now there are many Islamic financial institutions operating throughout the world covering both Muslim and non-Muslim countries of various socio-economic environment. In Malaysia, the National Shariah Advisory Council additionally set up at Bank Negara Malaysia (BNM) advises BNM on the Shariah aspects of the operations of these institutions, as well as on their products and services. Social Islami Bank Limited (SIBL) was incorporated on 5th July, 1995 as a result of dedicated effort of a group of established Bangladeshi entrepreneurs and internationally important personalities. The bank started commercial operation on 22nd November, 1995 with a clear manifesto to demonstrate the operational meaning of particularly economy, banking and financial activities as an integrated part of Islamic code of life. Targeting poverty, SIBL is indeed a concept of 21st Century participatory several sector banking mode. The formal corporate sector, this Bank would, among others, offer the most up-to date banking services through opening of various types of deposit and investment accounts, financing trade, providing letters of guarantee, opening letters of credit, collection of bills effecting domestic and international transfer, leasing of equipment and consumer durables, hire purchase and installment sale for capital goods, investment in low-cost housing and management of real estates, participatory investment in various industrial, agricultural , transport, educational and health projects and so on. In the Non-formal non-corporate sector, it would, among others, involve in cash Waqf Certificate and development and management of WAQF and MOSQUE properties, and Trust funds. Social Islami Bank Limited (SIBL) is a banking company registered under the companies Act 1994 with its head office in 15 Dilkusha C/A, Dhaka-1000. The bank operates as a scheduled bank under a banking license issued by the Bangladesh Bank, Central Bank of the country. The Bank started its operation from 22, November 1995. SIBL is a capitalized new generating Bank with an authorized capital and paid up capital of Taka 585 million in 2007 and also 585 million respectively as of December 2006. Currently the bank has 95 branches in all over the Bangladesh. The bank under takes all types of banking transaction to support the development of trade and commerce in the country. SIBL services are also available for the entrepreneurs to set up new venture and BMRE of industrial units. To provide clientele services in respect of international trade it has established wide corresponded banking relationship with local and foreign bank stride and financial interest home and abroad. Since the very inception, Social Islami Bank Ltd. is working with the philosophy of serving the nationals as an ideal and unique financial house. Every organization has some objectives of its own. The prime objective of Social Islami Bank Ltd. is to earn profit throw undertaking the responsibility of providing financial help for the development of the country’s commercial and industrial sector. Year 2012 is envisaged as a golden year of SIBL. Adopting new strategic Business Policy, SIBL will leave no stone unturned to boost business in all areas of operation to achieve its corporate goals. General Banking Area . . .
General banking is the starting point of all the banking operations. It is the department, which provides day-to-day services to the customers. It opens new accounts, remit funds, issue bank drafts and pay orders etc. Provide customer through quick and sincere services is the goal of the general banking department. It provides those customers who come frequently and those customers who come one time in banking for enjoying ancillary services. In some general banking activities, there is no relation between banker and customers who will take only one service form bank. On the other hand, there are some customers with who banks are doing its business frequently. SIBL General banking is divided into six sections. 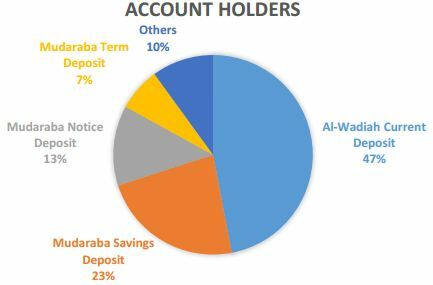 Account Opening Section . . .
Bills and Clearing Section . . .
SIBL Local Office branch performs the bill clearing function through Local office. SIBL Local office acts as the agent of all SIBL branches for the clearing house of the Bangladesh Bank. Inward Cheque: Inward cheques are those ones drawn the respective branch which have been presented on other banks and will be cleared/honored through the clearing house of Bangladesh Bank. For example the cheque drawn on SIBL Local Office Branch then the cheque is called inward cheque of SIBL Local Office Branch. Outward Cheques: Outward cheques are those ones drawn on other bank branches which are presented on the concerned branch for collection through clearing house of Bangladesh Bank. These cheques are called outward cheques. Outward bills for Collection (OBC): By OBC, we mean that those cheques drawn on other which are not within the same clearing house. Officer gives OBC seal on this type of cheques and later sends a letter to the manager of the branch of the some bank located in the branch on which cheque has been drawn. After collection of that bill branch advices the concerned branch in which cheques has been presented to credit the customer account through Inter Branch Credit Advice (IBCA). Receiving Cheques for Collection: In SIBL, cheques of its customers are received for collection from other banks. In case of receiving cheques, following points should be checked very carefully. The cheques should not carry a date older than the receiving date for more than 6 months. In that caseit will be a ‘stale cheque’ and it will not be allowed for collection. Again the date of the cheque should not be more than 1 day’s forward than the receiving date. The name mentioned in the cheque should be some in both slides of the pay-in-slip and it should be the same with the name mentioned in the cheque. Cheque and Crossing: A “Cheque” is a bill of exchange drawn on a specified banker and not expressed to be payable otherwise than on demand. (According to section-6, Negotiable Instrument Act, 1881). An open cheque which can be presented for payment by the holder at the counter of the drawer’s bank. A crossed cheque which cannot be paid only through a collection banker. Pay Order/ Banker’s check: The pay order is an instrument issued by bank, instructing itself a certain amount of money mentioned in the instrument taking amount of money and commission when it is presented in bank. Only the branch of the bank that has issued it will make the payment of pay order. The banker’s cheque must come to the branch for payment wherever it is presented. Po no, etc is mentioned. Cancellation of a Pay Order: If a buyer wants to cancel Pay Order, he should submit a letter of instrument in this regard and also return the instrument. Loss of draft before endorsement in this case, “Draft reported to be lost payee’s endorsement requires verification” is marked. Charges: A commission of 0.15% is taken on the draft value & Tk.50 is taken as postal charge. Cash Section The cash section of any branch plays very significant role in general banking department. Because, it deals with most liquid assets the SIBL Local Office Branch has an equipped cash section. This section receives cash from depositors and pay cash against cheque, draft, PO and pay in slip over the counter. Any people who want to deposit money will fill up the deposit slip and give the form along with the money to the cash officer over the counter. The cash officer counts the cash and compares with the figure writer in the deposit slip. Then he put his signature on the slip along with the ‘cash received’ seal and records in the cash receive register book against A/C number. At the end of the procedure, the cash officer passes the deposit slip to the counter section for posting purpose and delivers the duplicate slip to the clients. Foreign Exchange/ Foreign Trade . . .
Foreign trade constitutes a sizable portion of international transactions of a country. Payment received for exports and made for imports form a substantial part of its remittances from and to other countries. In our country a major share of the current balance of payments is made up of exports and imports of merchandise on private and government account. Thus, trade is the most important factor giving rise to payments between countries. Foreign trade is a type of specialization, which like other forms of specialization increases productive efficiency and standard of living of the people of the country concerned. Necessity of Foreign Trade . . .
Foreign trade enables a country to have a much larger flow and much more diversified form of wealth than what is possible without it. The residents of a country are able to enjoy the use of commodities which otherwise may not be available to them at all. There is a wide difference in respect of the material and human resources, stage of technical and scientific progress, and possession of capital equipment in different countries. No country is in a position to produce everything in quantities large enough to provide its people a reasonably high standard of living. A country, therefore, enters into trade relations with other countries on account of certain basic differences due to topographical reasons in its economy from theirs. Commodities are imported because either they cannot be produced in the country at all or can be produced at a very high cost. Import of such commodities is a convenient and cheaper way of getting them. In exchange for imports, a country has to export certain articles because normally imports can be paid for only by exports. A country’s exports usually comprise commodities the cost of production of which is less than the cost of importing them. Thus the need of the people of a country for its scarce resources and in exchange the surplus of some of their resources constitute the import and export stimulate the foreign trade which is intern mobilized by foreign exchange proceedings. Types of Foreign Trade Dealt in Banks . . . The import and export trade of Bangladeshis is controlled under the Import and Export Control Act, 1950. In normal sense the imports involve outward remittances and the export involves inward remittances. The terms and conditions of contracts between the importers and the exporters and the eventual remittances in foreign countries are subject to such restrictions and formalities as are laid down from time to time by the Import and Export Control and Exchange control in their respective jurisdiction which the importers and exporters must comply with. Import Trade When a particular country wishes and does bring in some goods and services from another country, trade occurring between these two countries is called import trade. Import trade means procurement and purchase of goods and services from another country or countries. Therefore, purchasing function of international trade is called import trade. Export Trade Selling of goods and services or other sales related function for the transfer of surplus goods or services for a value or just to merchandise them abroad trade occur between countries. Thus export or sale of additional goods and services or surplus goods and services is called export trade. There is another peculiar type of export trade named Re-Export Trade. Documents used in Foreign Trade relating to bills . . . The bill of lading is one of the most important shipping documents, which accompany bills of exchange drawn under letters of credit. It is an evidence of the fact that the exporter has dispatched the goods and gives the exporter title to the goods and enables Him To collect them on arrival at the destination. The bill of lading is more like a transferable debenture. It is a document signed and issued by the shipping company or its agent acknowledging the receipt of specified goods for carriage and embodying an undertaking that the goods will be delivered to a consignee named in the bill, or to his order or assigns, or merely to order. The document specifies the port of shipment, the destination, and the conditions under which the goods are received for carriage. A bill of lading that indicates that the goods are in apparent good condition without any without any qualification is known as a “clean” bill of lading. If, on the other hand, it bears some remark relating to a defect in packing, such as ‘three bags torn’, ‘some cases broken’,‘received in dampened condition’, ‘goods not sufficiently packed’, etc., it is known as a “foul” or “dirty” bill of lading. It is also known as a “claused” bill of lading. A “claused” bill of lading is not an acceptable document, unless specifically provided florin the sale and purchase contract. Such remarks protect the carrier against any claim for losses attributable to bad packing. They also protect everyone else who comes in possession of the bill of lading for value. When shipping space is ample and sailings are regular this type of certificate is easy to get. An “on board” bill of lading is satisfactory from the viewpoint of the all the parties concerned. The consignor is assured that the goods have been loaded and will reach the destination. The consignee has equal assurance when he receives the documents that the goods will arrive in time and will be available to him on surrender of the documents.“Received for shipments” bills of lading have, therefore, vital lacunae and are not acceptable to buyers and bankers. The buyer receives the documents but may not be sure that he will get the goods in time. The merchandise may consist of perishable goods, which, if delayed in transit, may not remain saleable. Buyers and banks, therefore, ask for “on board” bills of lading. Sometimes, when goods are carried overland and overseas, or during the sea voyage have to be transshipped at an intermediate port, the carrier that takes the goods first issued a “through” bill of lading. A railway company may issue a “through” bill of lading that serves both as a railway receipt and some kind of bill of lading for the sea voyage. Such document, however, lacks authority to bind the ship owner who undertakes the sea portion of the carriage. This kind of the bill does not provide any assurance that actual shipment on the named vessel took place. The banker has a right to reject such a bill in connection with a credit, which calls for delivery of a bill of lading, unless there is a specific authorization for its acceptance. The commercial invoice is a statement of accounts drawn by the seller address to the buyer giving the details of the amount stated therein which is based on the terms of the contract entered into between the buyer and the seller. The exporter must dully sign a commercial invoice. Details found in a typical commercial invoice are name and address of the buyer and the seller, the vessel of shipment, port of discharge etc. Also the shipment import and export permit numbers, the number of contract and invoice and other essential details of the transaction are recorded on the invoice. The financial terms of the sale, such as whether under letter of credit, sight drafts etc., are given. The number of packages and the identifying mark and numbers of them are clearly indicated. The goods contained in the packages are detailed and prices are given item by item. The commercial invoice is neither a document of title, nor it is negotiable. Its main utility is that it acts as a book-device for both seller and buyer. The Consular Invoice Another special type of invoice named consular invoices are required depending upon the trade regulations in importing country. It is made out in a prescribed format, certified and signed by an individual of the importer’s country national working as a consulate in the exporter country. In some cases it is also seen that exporter’s own invoice is authenticated by the embassy or consulate instead of issuing consular invoice. This type of invoice is called legalized invoice. The Certified Invoice Certified invoice is an invoice, which bears a signed statement, by someone in the importer’s country who have inspected the goods and found them in accordance with those specified in the contract. The Certificate of Origin The regulations in force in some countries require a certificate of origin of imported goods to be produced before clearance of by customs and assessment of duty. The certificate is usually required where goods from certain countries receive preferential treatment, or the import of goods from some countries is partially or wholly prohibited. This is generally issued by the Chambers of Commerce of the exporting country and is arranged by the exporter. Sometimes, the certificate of origin is endorsed on the back of the relative invoice, in which case the whole document is known as a “certified invoice”. The Packing List A packing list serves to indicate the exact nature, quantity, and quality of the contents of each package in a shipment. The list helps the importer to identify the goods and check them against his order. Banks may require such a list when they have financial interest in the merchandise. Clearance of goods through customs is also facilitated by packing list. Some other certificates are also required with of particular commodities. A “weight certificate”, signed by a public agency, is often necessary with goods sold in bulk, such grains, oils and similar products. The importing country may insist on a “food inspection certificate” from an official inspecting service of the exporting country when certain foodstuffs of perishable nature such as meat, edible fats etc., are imported. A “non-dumping certificate” showing the comparative difference in the domestic and export selling prices, is sometimes required with imports in some countries to ensure that goods are not being sold at very much lower prices in the importing countries than the domestic markets of the exporting country. This is normally issued by an independent inspection company located in the exporting country certifying or describing the quality, specification or other aspects of the goods, as called for in the contract and/or the L/C. What is Online Banking ? ? ? Information technology (I.T.) is a well known word, the developed countries of the world reached to the peak of information technology. SIBL have no alternative to expand of information technology. Tight now, SIBL are facing uneven competition with many foreign banks in the country. For this, SIBL will have to take necessary preparation form this moment. Information Technology and Flow of Information is become very important in the present world. Social Islami Bank needs to develop all their banking transaction with the help of this technology and need to introduce online banking. Most people heard a lot about online banking but probably haven’t tried it themselves. People still pay their bills and deposit checks at bank’s branch, much the way their parents did. They might shop online for a loan, life insurance or a home mortgage, but when it comes time to commit, people can feel more comfortable working with his banker or an agent they know and trust. Online banking isn’t out to change one’s money habits. Instead, it uses today’s computer technology to give people the option of bypassing the time-consuming, paper-based aspects of traditional banking in order to manage finances more quickly and efficiently. Virtual Banks . . . If anybody don’t mind foregoing the teller window, lobby cookie and kindly bank president, a “virtual” or e-bank may save very real money. Virtual banks are banks without bricks; from the customer’s perspective, they exist entirely on the Internet, where they offer pretty much the same range of services and adhere to the same federal regulations as corner bank. Virtual banks pass the money they save on overhead like buildings and tellers along to you in the form of higher yields, lower fees and more generous account thresholds. Advantages of SIBL from Online Banking . . . Convenience: Unlike a corner bank, online banking sites never close; they’re available 24 hours a day, seven days a week and they’re only a mouse click away. Ubiquity: If anybody out of state or even out of the country when a money problem arises, he can log on instantly to his online bank and take care of business, 24/7. Transaction speed: Online bank sites generally execute and confirm transactions at or quicker than ATM processing speeds. Efficiency: One can access and manage all of his bank accounts, including IRAs, CDs, even securities, from one secure site. Effectiveness: Many online banking sites now offer sophisticated tools, including account aggregation, stock quotes, rate alerts and portfolio managing programs helps to manage all of the assets more effectively. Most are also compatible with money managing programs such as Quicken. Features of SIBL Online Banking . . .
Bank is a financial institution. The service of a bank is considered as its product. Bank is financial intermediary dealing in accepting surplus savings as deposits and extending funds to those who can approach the bank with bankable projects. Amount of funds can be increased or decreased depending on the professional skill of the bank executives. Efficiency of customer service is related with progression of operation. Social Islami Bank Ltd operations are increasing gradually. Each year deposits and investment growth indicates SIBL better movement in the banking field, which is satisfying clients. As a result, clients are increasing and ultimately equity is increasing. Gradually bank’s operation is increasing. Investment is rising rapidly and a good response is getting from the clients is different investment scheme. SIBL rising movement is generating increasing profit. Client’s satisfaction depends on the efficacy of customer service. All operational improvement with profit leads us to say that value of customer service of SIBL is in the positive situation. In general banking department they follow the computerized banking system. They are using Data Base Networking in Information Technology (IT) Department. So they can transfer data from branch to branch and branch to head office by using one line. The loans and advance department takes a short time to process a loan because the process of sanctioning loan is done by computerized system. If is in average 10 working days. Residence Bangladeshi can send money from any parts of the world. As one of leading Banks in Bangladesh, SIBL Bank should provide equal emphasis in each department of banking service. SIBL may also indulge in Tele Marketing. This will smooth the progress of them to expand their sales. SIBL should pursue an aggressive marketing to come up into limelight. Campaign in order to build up a strong image reputation among the potential customers. Campaign such as ad in the newspaper & magazine, billboard, neon signs, publicity message. SIBL can pursue promotion campaign with its customers particularly the corporate clients to build up a strong report. TV ad is also a major method for attracting the potential customers. As it is an old bank, a strategy of exposing the bank to the public must be taken so that general people will aware about the emergence and growth of the bank. Sponsor in organization’s picnic and arrange or sponsor in cricket match can be method of advertise. For monitoring and inspection of the current status of all the division for omitting there lacking. SIBL should appoint customer service officers in all branches. They solve customers’ problem, answer inquiry of customers etc. SIBL should differentiate its services adopting the modern facilities and diversify products. To achieve the goal, a bank must establish and adhere to adequate policies, practices and procedures for evaluating the quality of asset and the adequacy of loan provision and reserve. Now a day banking organizations are one of most vital parts of an economy. Now banks provide various services for individual, different firms, companies even for cultivation. Banks offer a great accumulation of loans for personal and industrial purposes. SIBL is running successfully and for its good deposit performance the bank occupies 2nd positioning the Islamic Banking Sector. Taken all in all, it can be safely said that SIBL action program is directed towards development of an authentic participatory Economy beyond Market Economy. The family empowerment credit program of Social Islami Bank is gaining ground at the grass root field level in Bangladesh. Family Empowerment microcredit and micro enterprises program must be designed in a manner so as to make a) finance, b) production, c) marketing, d) trading, e) local specific survey and research as well as moral integrity in one package. In SIBL approach, credit conveys the totality in life and clearly linked to social context and cultural setting in conformity with Shariah. There is a better chance in provision for social subsidy. De-secularizing credit may lead to re-writing new economics. It is thus felt that the linking credit to social goals and assignments will have far-reaching theoretical implications for development of an alternative concept of new theories of income, output and employment. This bank expresses its sincere thanks to the government of the People’s Republic of Bangladesh and Bangladesh Bank for their co-operation and valuable guidance to the bank. SIBL also takes this opportunity to their valued clients, patrons, well-wishers, correspondents and the shareholders for their support and patronization extended during the year under review. SIBL also records its appreciation for the services rendered by the executives and the members of the staff for the stability and growth of the bank. SIB needs further active support and continued cooperation of Bangladesh Bank, ministry of finance and other government agencies, executives and employees of the bank, valued partners, clients and the community at large in accomplishing difficult tasks ahead of it.